My obsession with dainty jewellery shows no sign of abating any time soon. This time, it's Z for Accessorize that's got me drooling at the window display every time I pass a store. And can you blame me? Just look! I've loved Accessorize ever since I was about fifteen. For pretty, affordable costume jewellery, stylish sunhats and embellished flip-flops, I still think it's pretty difficult to beat. However, this new range is in my opinion one of the best things they've ever done. A little more sophisticated and perhaps "grown-up" than their usual offerings, Z for Accessorize features gold-plated and sterling silver pieces with semi-precious stones such as turquoise, labradorite and mother of pearl. Everything is very dainty and looks a lot more high-end than it really is. It's designed to be piled on together, which you have to admit is a pretty clever marketing ploy - looks great on its own, looks even better if you buy something else as well! (Not that I need much encouragement, to be fair.) 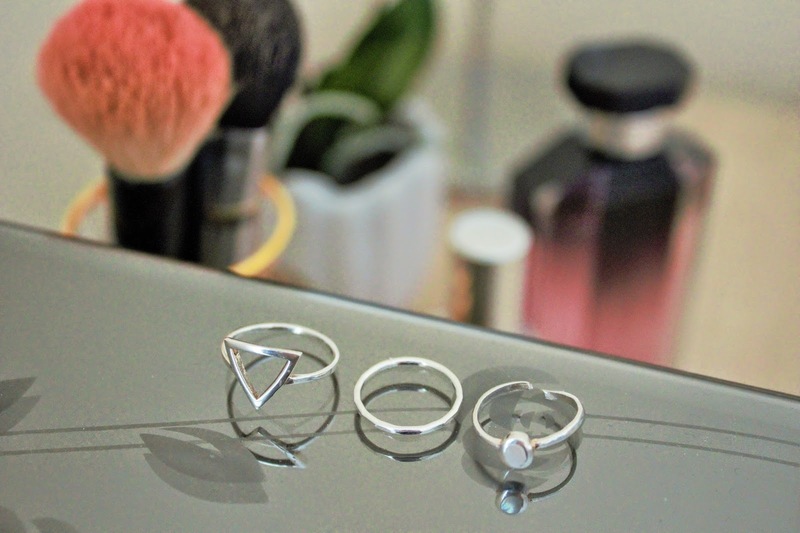 It's slightly more expensive than the standard range of Accessorize jewellery, but with prices ranging between £8 and £29 it's still pretty affordable. 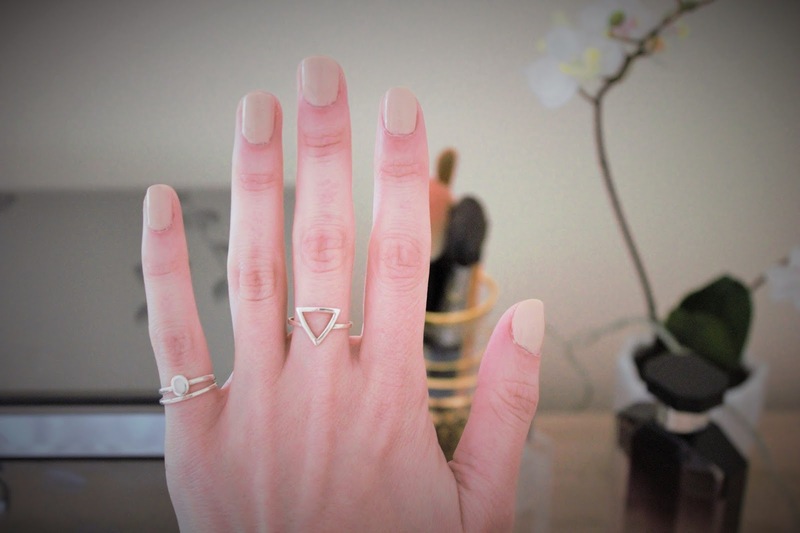 For my first purchase, I bought this triangle ring and this set of midi rings, which I've actually been wearing on my little finger. I love the way they look and I think it's fairly safe to say that my first purchase won't be my last! I've got quite tiny hands, so these delicate rings are perfect for me. I love the look of wearing many rings together, and often find costume jewellery too chunky for me to do this. No such problem with this range. I could start telling you what else I've got my eye on, but it would take far too long! Perhaps a delicate gold necklace will be next. Have you seen this range at Accessorize? Anyone bought anything? Ah! Everything is so cute! I am getting more and more into these dainty pieces myself. So pretty! I own so many rings and necklaces, but rarely wear them- weird, I know. A lot of my friends love those huge, chunky, statement necklaces, which I love the look of on others, not necessarily myself, but the pieces featured in the first photo of your post are definitely my cup of tea :D And how stunning is that triangle ring you picked up Kate???? Loveeee!!! I've always loved accessorise myself too. They have such pretty jewellery and the quality is really good! I love your rings! Great post, i like your blog following you. Nice photos on your blog as well. Those are so pretty! I love them all! Ah these rings are absolutely gorgeous and what a bargain they are!! I have tiny, tine hands too and struggle to find rings that will fit me without them being adjustable! I'll definitely go and have a look in Accessorize - I knew they had rings but weirdly didn't think they'd be this nice! Those rings are so beautiful on you. I particularly enjoyed the triangle one you are wearing.